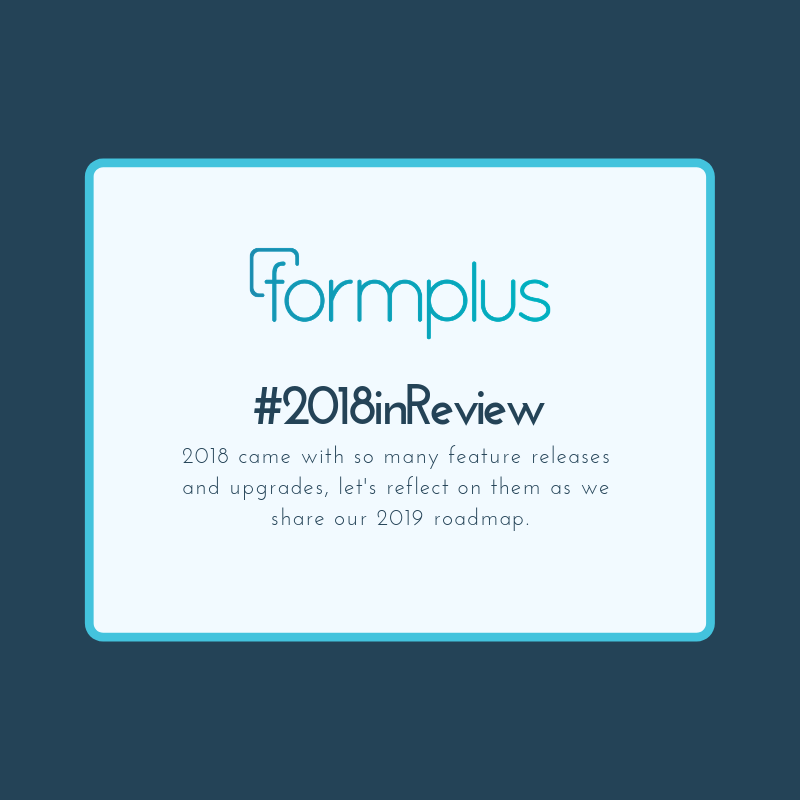 Yes, I know what you’re going to say already “Another 2018 in Review blog post”, “Do these people ever get tired?” but we just couldn't begin the new year without telling you how amazing last year was at Formplus. We can’t continue this article without thanking everyone who referred someone to use Formplus, left reviews on other platforms and answered our request for phone calls. If you did any of this, cheers to you! We had a number of HUGE updates in the past year, we certainly haven’t lost focus on the foundation of what makes Formplus your choice in the face of other form builders: great customer support and integrations with your favourite tools. Here are a few of the big feature releases we had throughout the year. Pre Populated Forms, Customised Form Links, and Tracked Submissions - released in December. From our product feedback, we have been able to draft a roadmap for our feature releases in 2019. Apart from making further stabilizations in Formplus, here are some other things we’ll be working on in Formplus this first half of the year. Thanks for helping us make 2018 our best year yet. Here’s to an amazing and productive 2019.